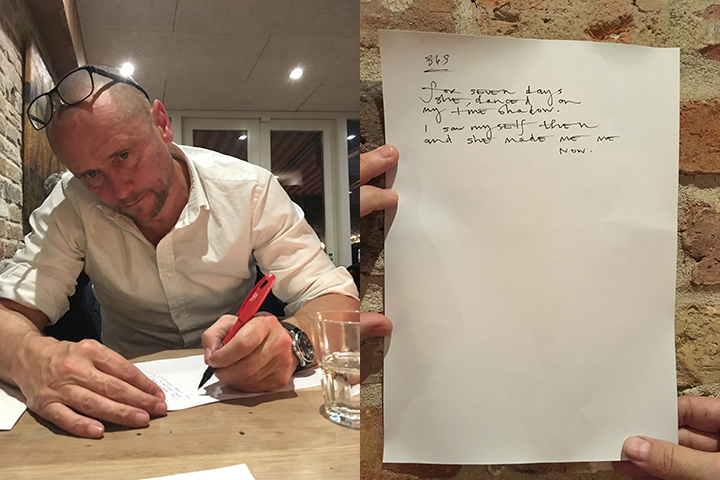 Excellent Beauty: Kurt K. I Was Pacing: Beth R.
At a restaurant in Kolding Denmark, this super energetic Kolding faculty member agreed to write a poem. I’m starting up again, after pausing in 2017 to reboot and come to terms with the changes in the United States. I need to talk to strangers, now more than ever. Read a poem by Kurt K.